Agate stones are a translucent variety of microcrystalline quartz stones. They are semiprecious stones. There are many different types of agate stones: Mexican agate also known as Cyclops agate, Turritella agate, Greek agate, Brazilian agate, Lace agate, Holy blue agate, and many, many others. Agates got their name from a river in Sicily called Achates River because they were found there first. Agates can be found all over the world, but mostly in places like Brazil, Argentina, Uruguay, Mexico, Australia, India, Botswana, Poland, and the United States. Agates are usually found in volcanic rocks. Agates are one of the most popular gemstones and they are state gemstones for a couple of US states. Fortification agate is the state gemstone of Kentucky, Lake Superior agate is the state gemstone of Minnesota, fire agate for Arizona, blue agate for Nebraska, and Fairburn agate is the gemstone of Nebraska. White agates are ruff and waxy in their natural state and are about 1-2 inches. Agates come in many different colors, but white agate is especially beautiful. It can be made in different shapes and it’s perfect for jewelry. It looks pure, elegant, classy, and stunning. 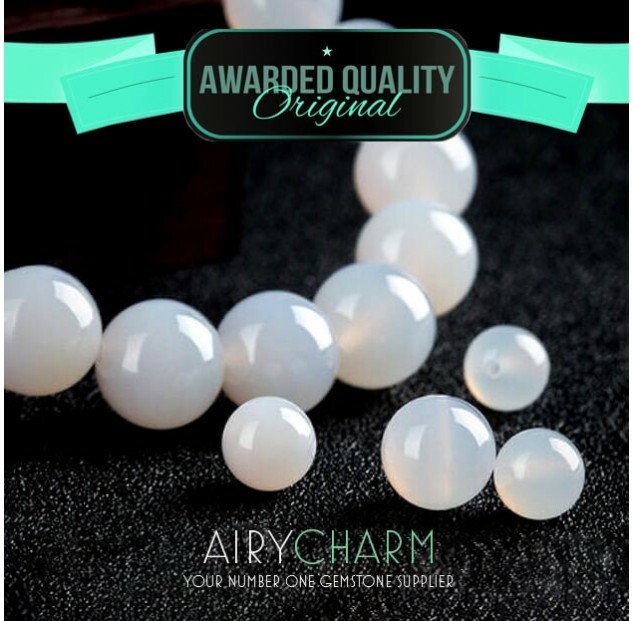 There are many different kinds of white agate jewelry, from different kinds of necklaces, earrings, rings, pendants. Because of its simple and pure white color, white agate can be combined with all other types and colors of stones. There are many healing properties of the white agate. In history, it was placed in cooking and drinking water to protect against all kinds of diseases. 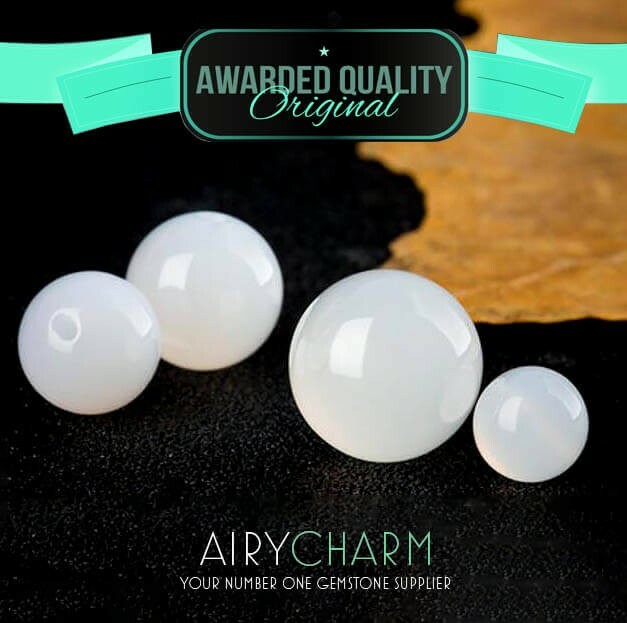 It is a grounding stone, so when you’re feeling stressed out, it can be helpful to wear any kind of white agate jewelry or the stone itself. You’ll feel the calming energy of the stone and the balancing of the yin and yang. If you’re not balanced, you’re going to be all over the place and that’s not healthy. Wearing white agate can also improve your confidence and concentration. It protects you from bitterness and negativity. We all sometimes have some negative energy because of the situations going on in our lives and there’s just a lot negativity around us whether we like it or not, but it’s up to you to balance that out. 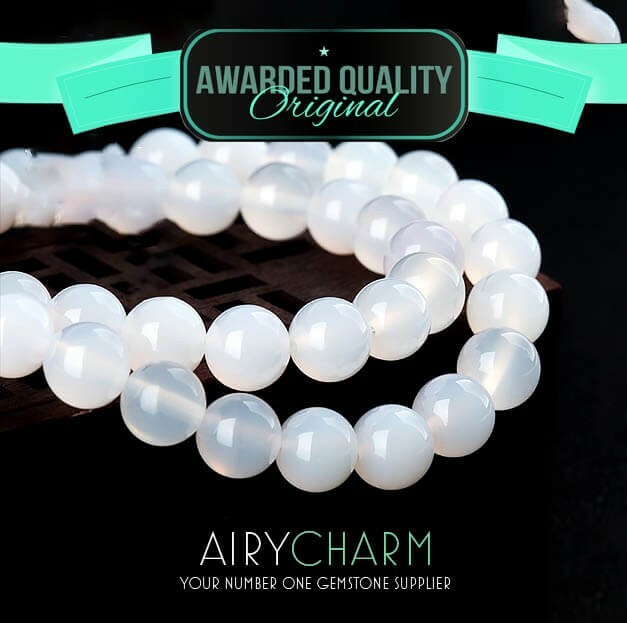 So wearing white agate can protect you from negative people, negative situations and events. It’s very important to live a stress free life and balance your mind and body and white agate is a great and beautiful tool for that.